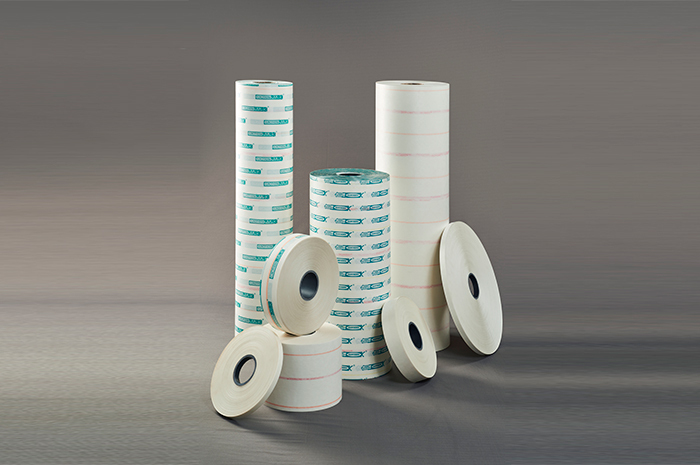 Used in motors & generators: As slot insulation / Closure, phase insulation / overhang, interphase insulation. In Dry Type Transformers: As layer insulation for coils. For choke coils, conductor & shaped components. Polycom's GARTHERM® Laminates are composites of Nomex® paper laminated on either side of Polyester Film using high quality adhesive. High electrical and mechanical strength of polyester film is complemented by high temperature resistance of the Nomex® Paper. Polycom's GARTHERM® are produced in various combination to cover various needs of electrical industries. GARTHERM® composites have very good dielectric and mechanical properties. High chemical and solvent resistance. Protects the influence of hydrolysis. Quality norms are top priority at Polycom Associates to ensure customer's delite with both product quality & services. Regular on line checks & control of tensile strength,elongation, B.D.V, & bond strength contribute to consisting of quality. Polycom's Gartherm® Class F Composites made from 0.05mm, 0.08mm, Calendered & Uncalendered 0.13mm Nomex® paper are available in various forms such as sheets, rolls & narrow widths on request for various applications. Gartherm® can also be made available in 2 layers on request. Rolls of 910 MM. Tapes of width 8 MM above. Composites produced in various thicknesses ranging from 0.13 mm to 0.63 mm. We also supply fabricated components.